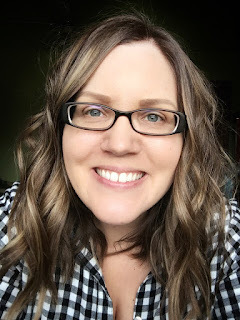 Hello -- happy weekend! It seems as though August is flying by (just like the rest of the summer!) 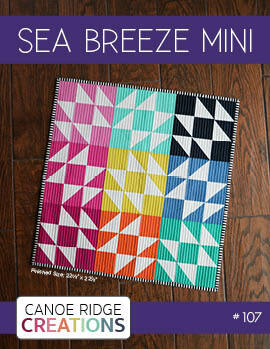 and it's time to share this month's mini quilt from the Fresh Mini Quilt Club. 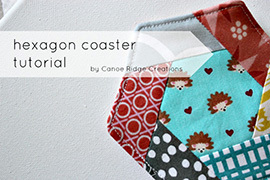 Monkey Business features a three fabric design paired with a traditional monkey wrench block. 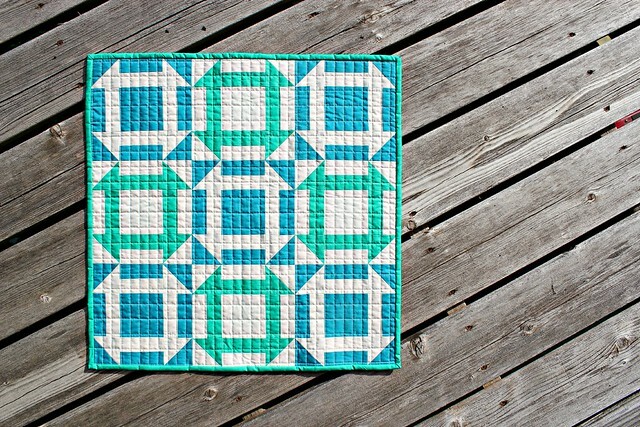 I'm really happy with how this mini quilt turned out & I'd like to play around with the same design again, next time bigger! 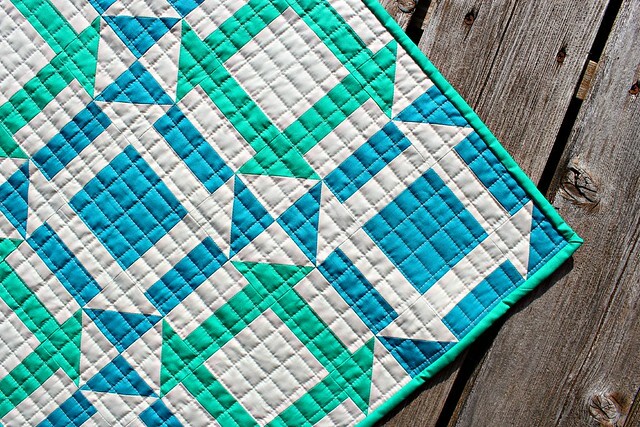 The quilting on this mini quilt just might be my favorite part! 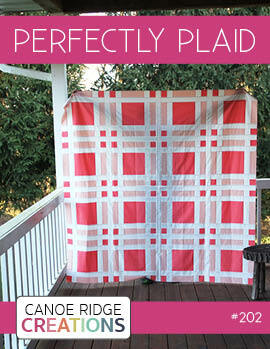 This simple, straight-line cross hatch makes such a graphic impact. 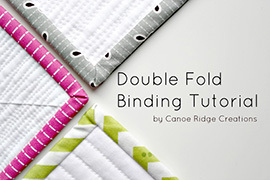 I used my BERNINA #50 walking foot (and the attachable guide!) 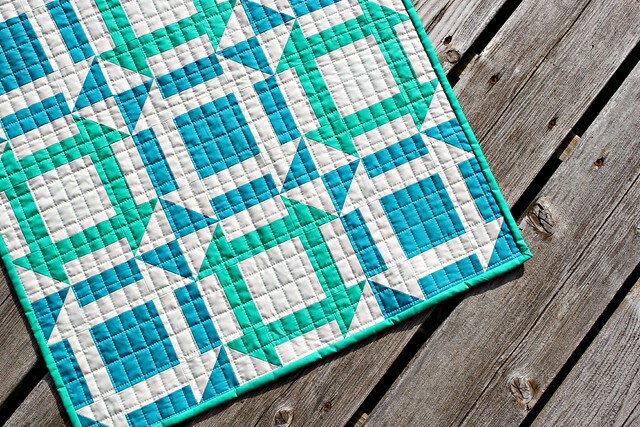 & Aurifil thread (color 2024) -- those two sure make a great combo! August's mini quilt, Monkey Business, measures 21" x 21". 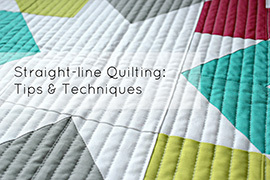 August wraps up 6 months of the Fresh Mini Quilt Club: Round 1! 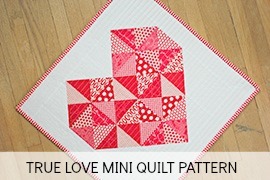 If you missed out & would like to purchase all six mini quilt patterns, there's still time! 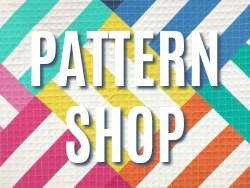 From now until August 31st, you can join right here -- all six patterns will be sent at once. 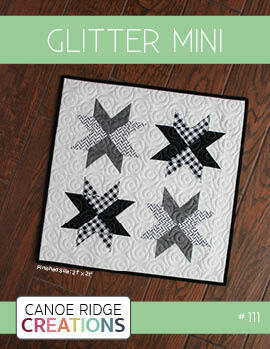 After that, each Fresh Mini Quilt pattern will be available for individual purchase! 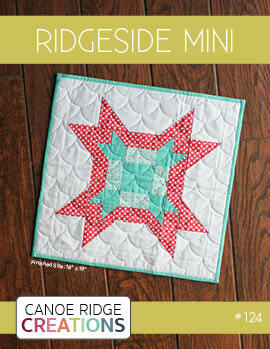 Stay tuned for more details about the Fresh Mini Quilt Club: Round 2, coming soon!